Fall in love with the Pinot grape! We will enjoy sparkling, white, rose, red wine, and beyond. Your personal sommelier, Kara Joseph, will expand your wine minds as you indulge in Biscottis famous pizza. The evening will end on a sweet note with a Peterbrooke chocolate and wine pairing. The evening will begin with a wine 101 style class at Biscottis showcasing three unique wines. Along with this your "somm" will demonstrate how the wines pair perfectly with pizza. 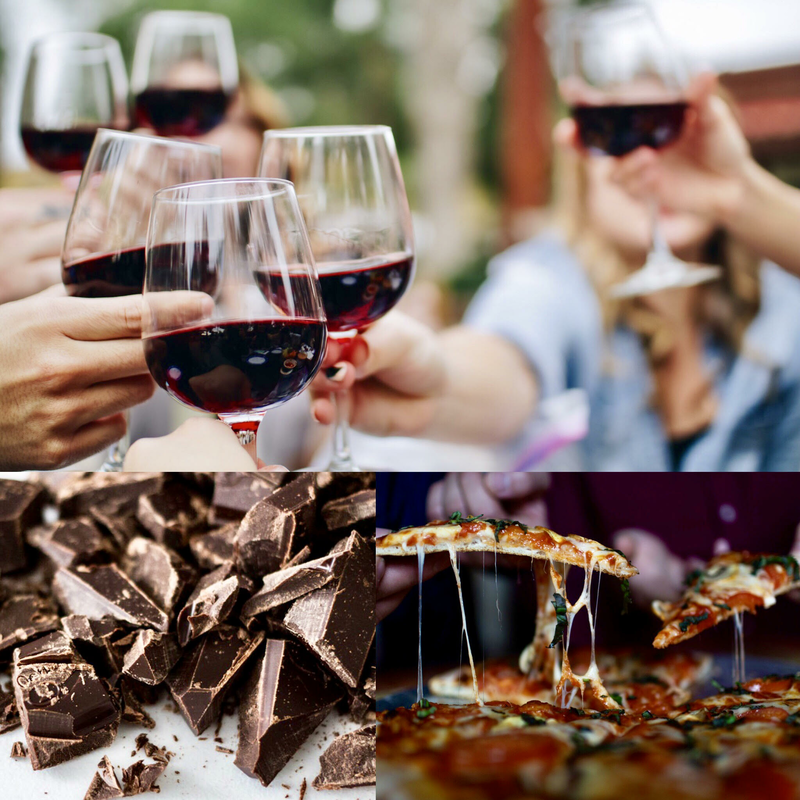 After all the pizza and wine is enjoyed, we will walk over to Peterbrooke to explore chocolate and wine pairings with three more interesting wines. Peterbrooke will show us the secrets of making their chocolate covered popcorn. We will end on a sweet note with a wine and chocolate pairing. Come out and enjoy in some of your favorite indulgences!! !